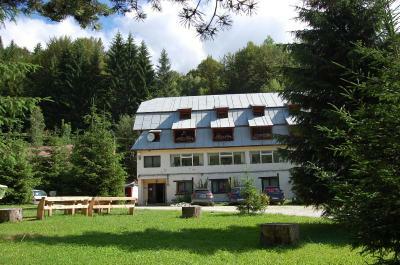 Lock in a great price for Complexul Turistic Cheile Butii – rated 9 by recent guests! Location is absolutely amazing and very quiet. The compound is quite big and found out there are a few different room options. The staff are no less than EXCEPTIONAL! 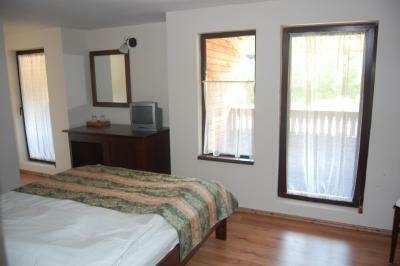 Very attentive and responsive and all together super nice and accommodating. The room was nice and the heating worked perfectly. 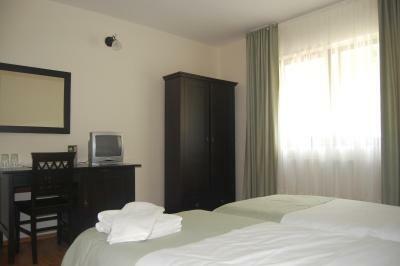 The first room that we had was very elegant, generous, and had a big screen TV. It also had a nice balcony. I liked the overall interior design of the building and rooms. we were looking for a natural resort place to stay for the night. this place fit perfectly! very beautiful nature outside, very cozy and warm inside. 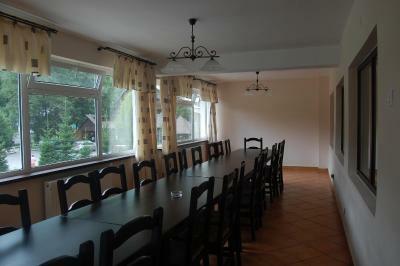 the dining zone is very spacious, full of natural light and interesting wooden construction. the host was very helpful in taking us in very late at night. the breakfast in the morning was super tasty!!! great choice of music for dining area. sometimes friendly foxes are visiting! 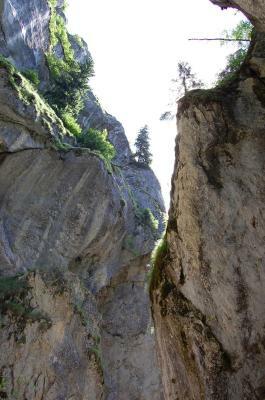 Good location for accessing walking trails in the Retezet National Park from the east. Helpful and enthusiastic staff - a good restaurant. Room well appointed and they had BBC World on the TV! Everything was perfect. 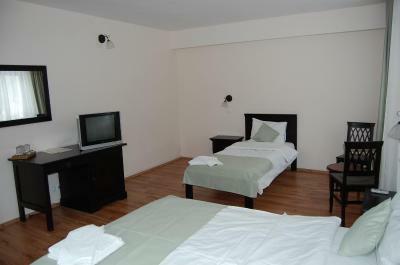 The rooms and the entire complex was very clean. Nice and polite staff. The breakfast was good and had everything. The room was big and very warm during the night (I even had to reduce the heater to minimum so we don't melt in the room). Great balcony with nice a view and flowers. 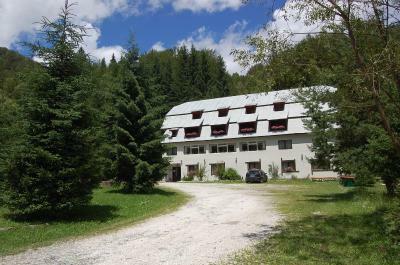 Nice location close to the Cheile Butii and Retezat-mountains. Dinner and breakfast ok. Quiet at night. 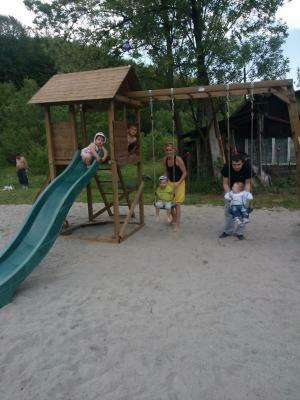 personalul a fost foarte amabil in ciuda faptului ca se lucreaza foarte mult, camera a fost curata si caldura nu a lipsit deloc, camerele au cate o terasa micuta , dispune de o parcare spatioasa si am gasit usor loc . seara vin vulpite dresate sa manance de la restaurant - merita vazute ! Superb! Impecabil de curat, confortabil, liniștit (se aud, seara, bufnițele în pădure) mâncarea este foarte gustoasă (big like! ), servicii ireproșabile, personalul deosebit de politicos și amabil. Foarte, foarte aproape de traseele din Retezatul Mic, de o frumusețe de basm. În opinia mea, merită (mult) mai multe stele. 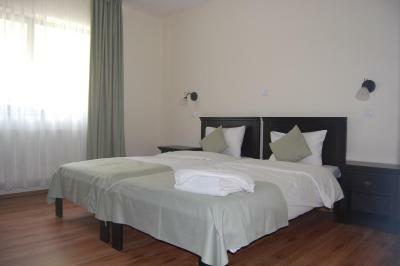 Complexul Turistic Cheile Butii This rating is a reflection of how the property compares to the industry standard when it comes to price, facilities and services available. It's based on a self-evaluation by the property. Use this rating to help choose your stay! 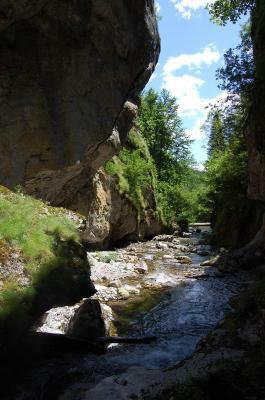 Located amid nature in Butii Gorge, Complexul Turistic Cheile Butii is at the south entrance to the Retezat National Park’s public area. Free basketball, tennis and paintball facilities are featured on site. 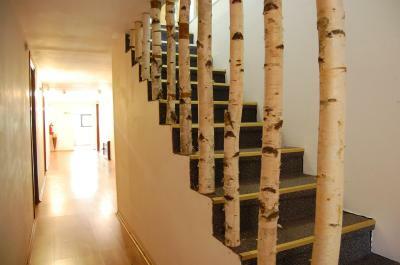 All rooms offer views of the surrounding nature. They feature a TV and a mini-bar, and some rooms have a balcony as well. 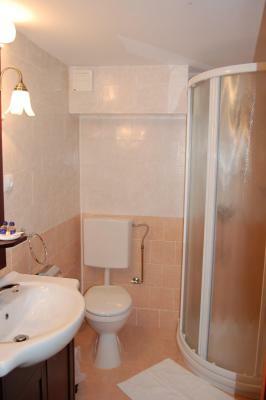 Each private bathroom comes with a shower and free toiletries. 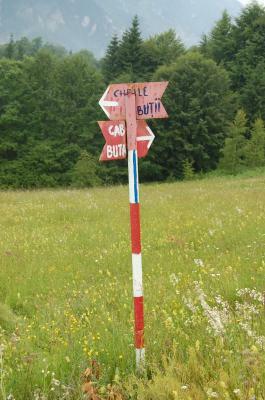 Traditional Romanian and international cuisine is served in the à-la-carte restaurant, which also offers a variety of home-made products for sale. Guests can relax in the courtyard and in a bar. 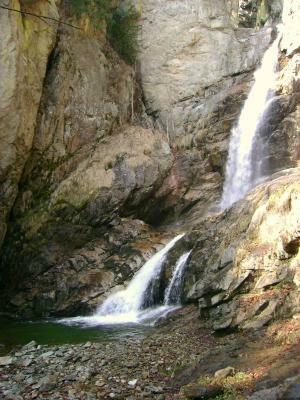 Valea Mariei and Lazarul Waterfalls are 2.5 mi from the Complexul Turistic Cheile Butii. 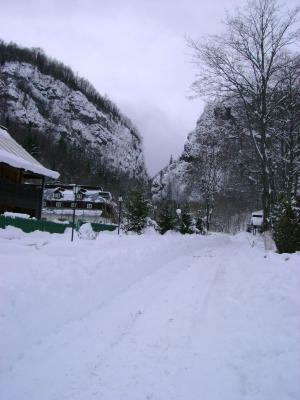 Straja Ski Resort is 9.3 mi away, and the Bucura Lake is 11 mi from the property. Free private parking is available on site. 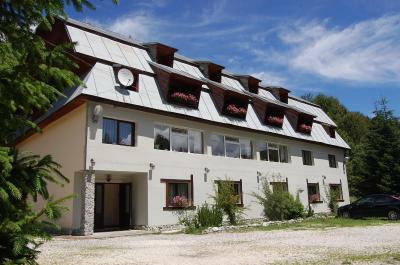 This property also has one of the top-rated locations in Cîmpu lui Neag! Guests are happier about it compared to other properties in the area. This property is also rated for the best value in Cîmpu lui Neag! Guests are getting more for their money when compared to other properties in this city. 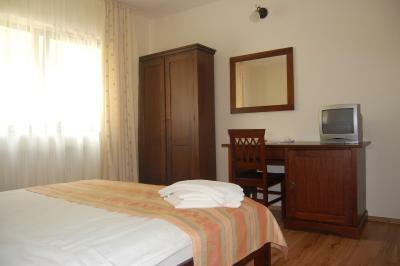 When would you like to stay at Complexul Turistic Cheile Butii? 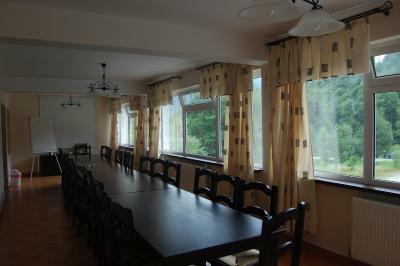 This room features a balcony with views of the valley and the surrounding forests. It includes a TV and a mini-bar, as well as a private bathroom with a shower. Please note that the meal option only applies for adult guests. This room with views includes a TV and a mini-bar, as well as a private bathroom with a shower. 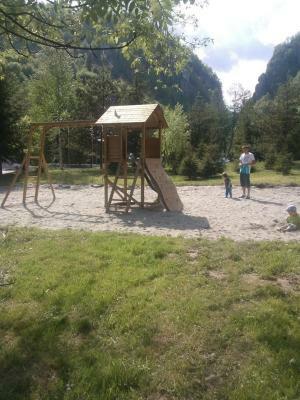 House Rules Complexul Turistic Cheile Butii takes special requests – add in the next step! Free! One child from 0 to 12 years stays free of charge when using existing beds. One older child or adult is charged RON 46.58 per person per night in an extra bed. Complexul Turistic Cheile Butii accepts these cards and reserves the right to temporarily hold an amount prior to arrival. No refrigerator in the room which is not very good if you are travelling with a young child like us. Food a little bit overpriced in the restaurant. Some people listening loudly music. - The access road is terrible. Just 1 km, but full of potholes. - The first room we were given was on the 2nd floor of the white building and had a problem with the balcony door. The closing mechanism was broken, so it could not be closed. We had to ask for a different room, and it appeared as if the staff was aware of the problem (and still gave us this room first). We were given a new room (no. 22), but this time on the 3rd floor of the white building. This was completely different than the first one. It was furnished with ikea furniture (which is a lot cheaper than the furniture in the 2nd floor room we first got). We didn't have a problem with this, but with the bed. The bed frame was of very poor quality and made horrible noises and moved terribly with every single move. We could not sleep properly because of this. That bed was definitely not a 3-star bed, as it should have been. Also, I think the walls are very thin on this floor, as we could hear noises from the hallway and the other rooms. - the breakfast was very poor. we got there half an hour before closing time and we barely had anything left to eat. - we had dinner at the restaurant and the food was very oily or/and not done properly. We were very disappointed overall. The man at the reception whom we had contact with was quite OK. Upon checkout, I explained the problem we had and expressed my desire to speak to a manager. A manager was not available and he was nice enough to give me a discount, but only after my request and negotiation. Coffee in the room would be good! Wifi was working but don't rely on it... but who needs wifi in such a great location. After the midnight, there was some noise from the restaurant (there was a party there)... but not that disturbing. When we arrived we had to wait 10 mins before someone was at reception for check-in. They wanted to give us a room without balcony, while it is written on Booking you'll have a balcony. Didn't accept the room but other rooms were not ready yet, so we had to wait one more hour before our room was ready. The room had a balcony, but was still in the back so we didn't have the promised 'valley-view'. Room wasn't very clean. Dust everywhere. Very slow WIFI. - The volume of the music at the restaurant was too high at the arrival but the hosts has reduced upon our preference :) - The card payment option was out of order, better to have enough cash since the closest ATM is 25 km away.